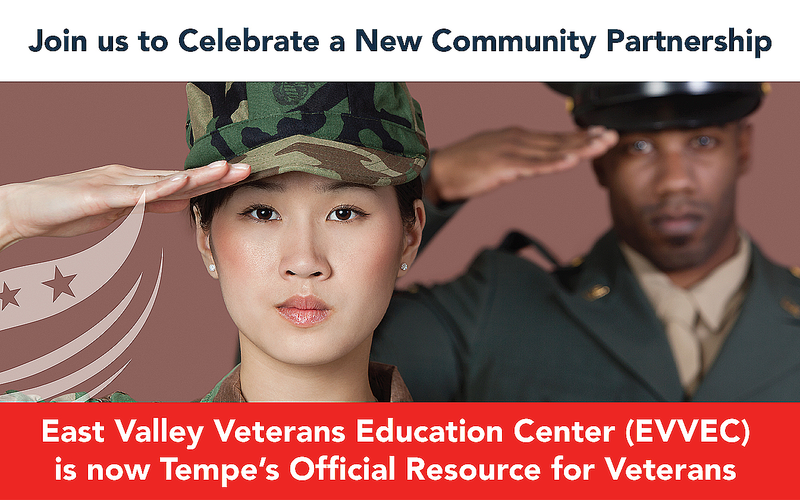 As the City of Tempe's official resource for veterans, the East Valley Veterans Education Center provides services to help veterans and their families access and claim the benefits they deserve—while building private, civic and business partnerships that create innovative workforce development opportunities for veterans. Program begins at 11:15 a.m. This event is made possible by the Maricopa County Community College District and Rio Salado College in partnership with the City of Tempe.